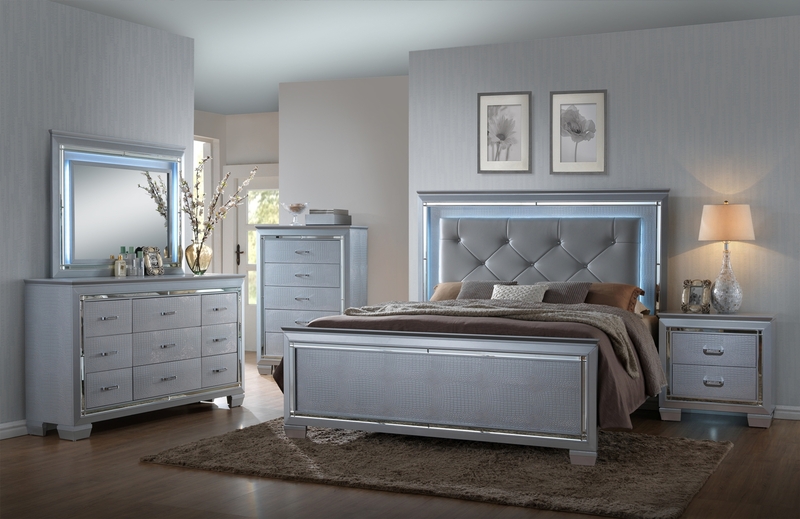 This bedroom group includes built-in lights, beveled mirror accents and faux crystal hardware. The group also has a silver edroom collection features built-in lights, beveled mirror accents, and glamorous faux crystal hardware. The collection also has a silver textured skin finish. The bed features a tufted headboard that is surrounded by an LED light giving a flowing appearance.